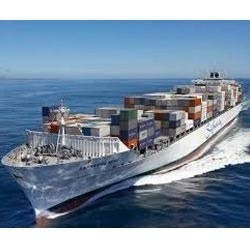 We offer FCL (Full Container Load ) shipping your goods in Full containers to worldwide destination - Best offer for 20ft & 40ft Container Shipping Rates, We also provide LCL (Less-Than-Container Load) ocean freight shipping services. FCL is our best transit-time-to-cost combination product. With our global presence we are able to offer cost effective FCL Forwarding solutions to our customers. We also offer value added services viz. pickup, customs clearance, door delivery etc. Our strong IT enabled services helps you in tracking your shipment status online. The sheer volumes Transpeed generates is put to your advantage in terms of increased buying power with all major steamship lines. With our global network of agents, we arrange consolidation services of LCL cargoes to ASIA AND GULF COUNTRIES on direct services . All cargoes are carried under the through Bill of lading and offer you the most competitive rates and transit times. OCSL provides reliable and speedy consolidation services, whether it be a import, export , or cross-platform trade. With the infrastructure as well as skilled and reliable professional, Suraj Forwarders have pioneered the LCl Consolidation and forwarding business in INDIA. You will get a perfect balance between cost effective solutions, timely deliveries, strong network, our own offices at other end makes the operations a seamless delivery. With our strong global network and contracts with all major liners, we offer competitive freight rates and best of services to our clients. Singapore, Penang, Port Klang, Hongkong, Busan, Keeling, Kaohsiung, Ho Chi Minh City, Jakarta, Bankokm Manila. Balikpapan, Banjarmasiii, Cigadiug, Kotabahru, Mataram, Palton, Tanah Grogot, Tanjung Perak, Tanjuug Prtok, Semarang, Surabaya.